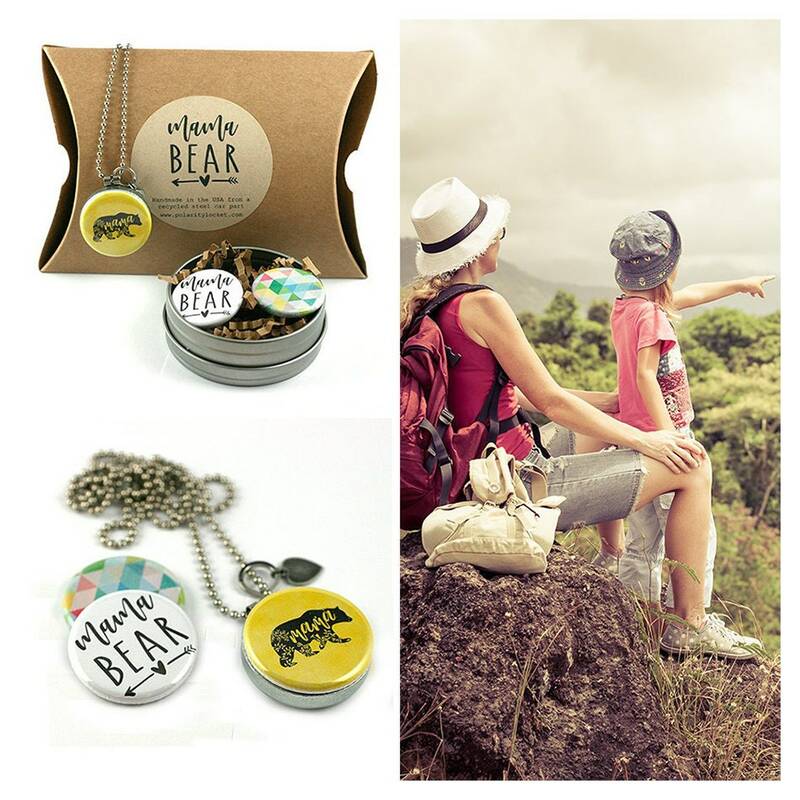 This adorable MAMA BEAR locket necklace is the perfect gift to let mom know her mama bear instincts are very much appreciated. Also a great gift to treat yourself and make a fun statement! Featuring 3 interchangeable magnetic lids - grandma quote, a floral design and a cool polka dot - for 3 different looks from the same piece of jewelry! Polarity Lockets™ are the ORIGINAL MAGNETIC NECKLACE since 2007. My lockets are fabricated by hand by me from recycled steel auto parts. NOTE - If you would like me to include a picture or special message inside the locket just place a note in the comments to seller section. For photos I can crop and resize any image. ★ Locket is available in 1" and 1.25" (shown in 1.25") - leave note in comments for 1"
All Polarity Jewelry™ including the changeable magnetic top is © 2007-2017 - all designs used on the jewelry are © by the copyright owner and used here with license in limited quantity. Order yours today!